But are businesses and professionals adequately prepared for this seismic shift in the working world? How will they cope in a hyper-disruptive Ideas Economy?  Macat teamed up with the University of Cambridge to find out, collaborating on the most comprehensive study into critical thinking yet undertaken. With over 21,000 individuals, businesses, NGO’s and education institutions from all over the world registering to take part, the study generated hundreds of thousands of data points, allowing us to create a high definition picture of the state of critical thinking today. The study’s findings were eye-opening. One of the most startling data points suggests poor critical thinking skills are costing the economy millions of dollars a week: 84% of senior managers believe their organization suffered a loss due to an absence of critical thinking in their workforce. Concerns center on a recurring failure of many employees to analyse data correctly. There are three interlocking reasons why. First: organizations focus on developing job-specific skills, rather than those that can be transferred. This can be beneficial when meeting short-term staffing needs, but does little to improve an individual’s adaptability and capability long-term. You can teach an individual to analyse a specific data set, like a profit-and-loss excel sheet – but what happens when that individual is promoted and is required to analyse, for example, cloud data to determine their collective team’s performance? A dearth of formal education in schools and universities across the world is the second reason senior managers find themselves linking the bottom line to their colleagues’ critical thinking ability. Only 25% of respondents in the Macat/Cambridge survey rated the graduates who are entering their organisation as having good or excellent critical thinking skills. This is surprising. Typically, universities would be expected to provide educations that help students to develop the six critical thinking skills – problem-solving, analysis, creativity, interpretation, evaluation and reasoning. With few specialized, holistic critical thinking courses on offer worldwide however, these skills are often developed in isolation; business students developing problem-solving; arts students developing creativity, and so on. It makes sense then, that many graduates are entering the workplace with patchy cognitive capacity. Thirdly, recruitment is a clear problem area. 62% of respondents said their organization doesn’t do anything to ensure it hires applicants with strong critical thinking skills – skills new employees increasingly require if they are to hit the ground running when they arrive. If recruiters and hiring managers aren’t looking for critical thinking when they bring new people into the organization, and HR doesn’t have programmes for development when new recruits arrive, the organization will struggle to develop a culture that values and practices the critical thinking skills. The implications of the survey are troubling: critical thinking isn’t developed in schools or universities, isn’t developed coherently in organizations, and isn’t recruited for in the hiring process. Which correlates neatly with our next datapoint: 80% of respondents admit to having never studied critical thinking. That doesn’t mean, however, there isn’t an appetite to learn. Far from it, a similar proportion, 78%, thought that taking a formal critical thinking course would make them better at their jobs and be beneficial to their career. This strong agreement bears out across demographics, irrespective of individuals’ education level or the size of the organization they are working for. It suggests that while many (65%) believe they have good critical thinking skills, they also feel that formal teaching of the skillset will enable them to perform better at work. Taken together, the outcomes of the study comprise an inarguable case: organizations and individuals have a lot of work to do if they are to be ready for the demands of the 21st-century workplace. On the bright side, peer-reviewed research demonstrates that critical thinking ability, like any other skillset, isn’t static. It can be nurtured and improved. That’s why Macat’s team of critical thinking experts and advisors is working hard to develop a suite of specialist tools that cater to the measurement, analysis and development of the six PACIER (problem-solving, analysis, creativity, interpretation, evaluation, reasoning) skills that combine to create a great critical thinker. Newer PostHow Can Learning Gains For Pupils Be Measured?